Fred Andrew Stone, 1873-1959, actor and author, with his brother Eddie (d.1903), copied from Rolling Stone. The photograph is captiioned "Under the Big Top 'My little brother was top mounter.'" 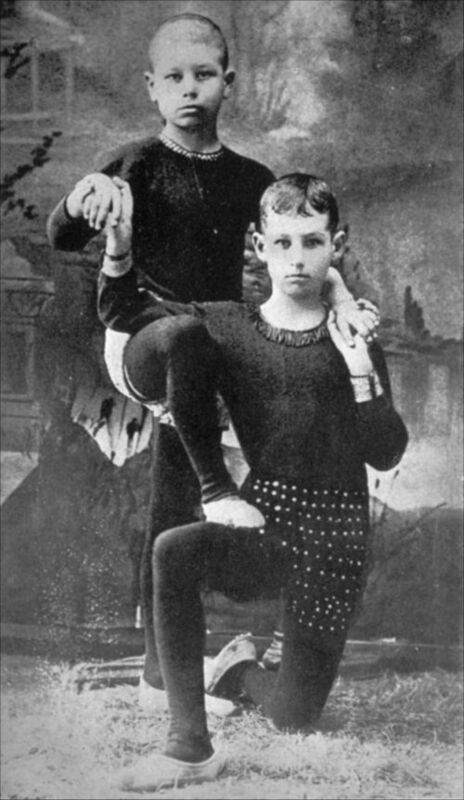 Fred and Eddie Stone performed in vaudeville, stage musicals, and movies. They were known especially for their acrobatic dancing and engaging onstage personality. The Stones were raised in Topeka, Kansas, and they made their stage debut as young children.